Just when you think you have this team all figured out, the Wizards turns in one of their best performances of the season with a 130-126 victory over the Charlotte Hornets Saturday evening. Seven Wizards players scored in double-figures led by Trevor Ariza with 24 points and a near triple-double with nine assists and seven rebounds. This game had a somber feel from the start. After the news broke that John Wall would miss the remainder of the season to undergo surgery on his heel, no one knew what to expect from the Wizards tonight. 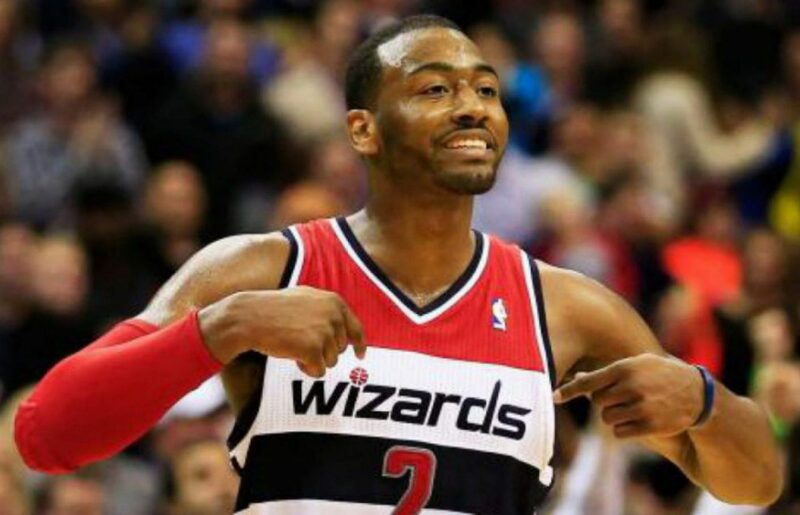 The Wizards looked stuck in the mud early and fell in a quick 15-7 hole. Things changed when Sam Dekker and Troy Brown Jr. checked in for Washington. The duo provided energy off the bench that the team desperately needed as they were able to claw back in this one and trailed by just two, 29-27 after one quarter. Washington kicked it into gear in the second quarter as they were able to get a lot of quality shots in the paint. The Wizards didn’t get too many transition opportunities but were able to exploit mismatches for easy buckets around the rim. Washington scored 40 points on a blistering 72 percent from the field in the second quarter to take a six-point lead into halftime. Kemba Walker, who was outstanding in the first half (17 points) cranked things up a notch in the second half. He single-handedly carried the scoring load for Charlotte in the third quarter to make it a one-possession game heading into the fourth quarter. There were multiple instances where it looked like Washington might pull away in this one. An 8-0 run highlighted by three-pointers from Tomas Satoransky and Trevor Ariza put the Wizards up 111-105 early midway through the quarter. But Walker wouldn’t let the Hornets go down without a fight. He scored 10 straight points for Charlotte but they still trailed 125-119 with 23 seconds left — and that’s when things got chaotic. Charlotte got a quick layup after the Wizards were unable to inbound the ball successfully. Seconds later, Satoransky was fouled but missed both free throws. Walker took the rebound and raced the other way for a layup to cut the lead to two. After Bradley Beal made a pair of free throws from Beal, Walker countered with a three to trim the lead down to one, but Jeff Green’slong pass to Trevor Ariza for a layup and foul sealed the deal as Washington escaped with the 130-126 victory. In John Wall’s first game out since the announcement that he would miss the remainder of the season to surgically repair his heel, the next logical question was, ‘who would step up?’ Tonight, everyone did. Only eight Wizards players saw playing time and seven of the eight cracked double-figures in scoring. On top of that, the ball was zipping side to side, guys were cutting through the lane, and there were very few stagnant possessions for a Wizards team that combined for 35 assists on 48 made baskets. Now, ‘Everyone Eats’ isn’t just about ball movement and assists — it includes making the hustle plays too. Thomas Bryant was a menace on the offensive glass and Washington won the 50/50 balls like this one that led to extra scoring opportunities. This game was a very pleasant surprise, however, we’ll have to wait and see if they can sustain this once the team settles into a new normal. Please raise your hand if you thought the trio of Troy Brown Jr., Sam Dekker, and Chasson Randle would be key contributors in this one. The trio was outstanding in the first half. As mentioned, the Wizards were very sluggish to start this one and it was Dekker and Brown’s energy off the Washington bench that injected a jolt in this team. Dekker was sprinting the floor and moving well without the ball, resulting in some very easy buckets all in the painted area. After receiving a DNP-CD just the night before, Brown Jr. got playing time in the first quarter and made the most of it. Like Dekker, it was the hustle and energy plays that provided a spark for this team, and knocking down a 3-pointer helped as well. Chasson Randle knocked down a nice step back three-pointer in the first half to give Washington the lead and was the recipient of some nice tic-tac-toe passing for this transition basket. The trio combined for a near-perfect 11-of-12 from the field and scored 29 of the Wizards 67 first-half points. After getting heavily criticized for playing Ron Baker and Ian Mahinmi extended minutes, neither of those guys saw the floor tonight as Brooks opted to go with a short bench where only eight guys saw playing time. Brown Jr. received all of Baker’s minutes tonight (17) and Thomas Bryant played 35 minutes, the most he’s played in a non-overtime game this season.